It's that time of week again... FRIDAY! 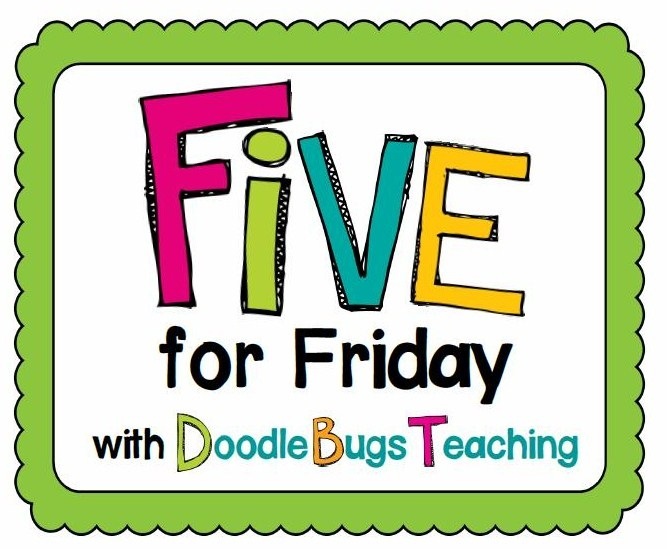 And one of my fav links with Doodle Bugs Teaching! My week started off on Sunday with a bridal shower for one of hubs and I's closest friends:) We are so honored to be a part of their big day and we couldn't be more excited!! Amidst all of the craziness of school and volleyball, it doesn't leave much time for hubby and I to have date nights! We were lucky to get one night this week where we didn't have anything going on so we enjoyed one of our favorite things to do together, making homemade pizza! They both turned out delicious, yum! During Daily 5 the other day, I was working with small groups. I look over and see a group of my boys at read to self reading like this. They were completely quiet, engrossed in their books, and on task. I seriously couldn't help but giggling.. too cute! Of course I interrupted their on task behavior by taking a picture, but it was too good not to get! We finished our research for our Famous American projects, wrote our rough drafts, and type our final copies! I am SO proud of my fourthies for the work they produced! Some of my kids wrote 3 page papers, TYPED! How amazing is that?! Next up, the brochure part of the project! They are SO excited! COSI came to our school today! The focus this year was astronomy, and the students LOVED it! Our whole school had a 45 minute assembly in the morning, and the presenter was wonderful! 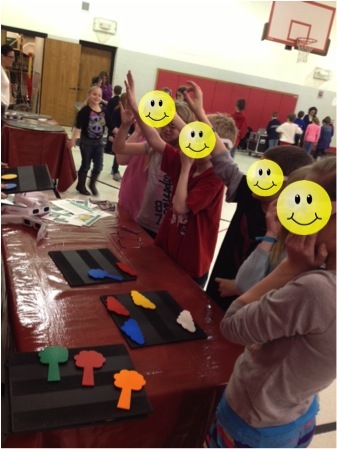 Students were engaged and laughing (so was I!) 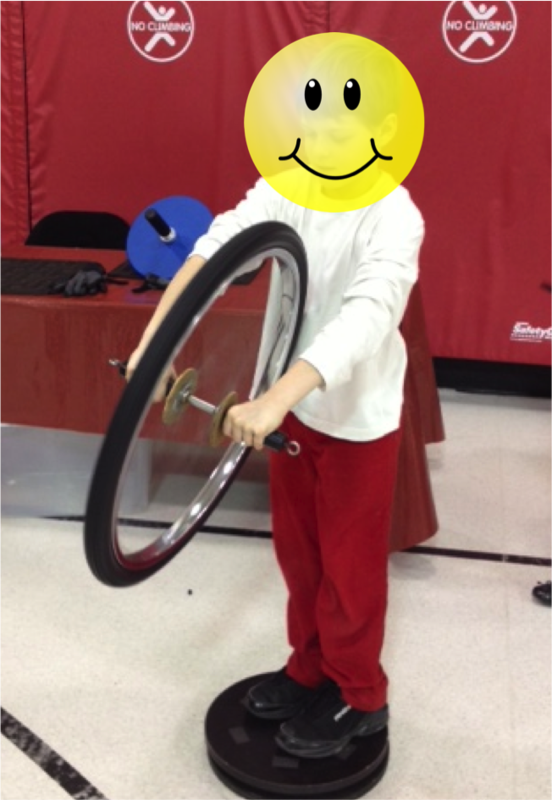 Then, we had 45 minutes as a class to go through and try out a bunch of experiments and hands on activities! All of my kiddos were totally engaged, learning, and love it! Off to get ready for another volleyball tournament weekend! 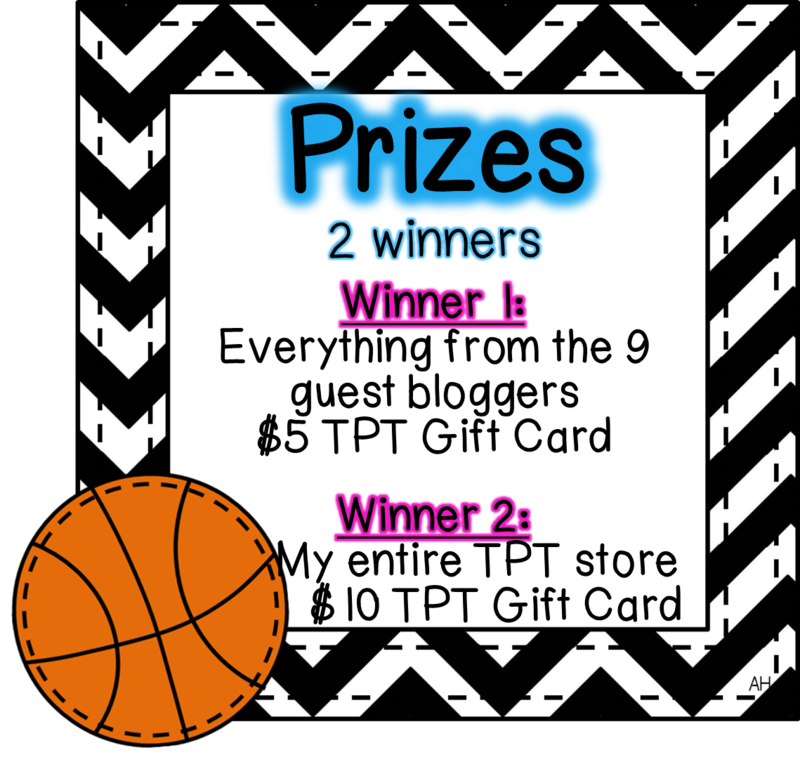 Don't forget about my 100 follower giveaway and enter to win some AH-mazing prizes! I love the pic of your boys reading! Those moments are so precious! Heading over to your giveaway now. Yum!! I love homemade pizza!! Those pizzas look delicious. Also, that picture of the boys is precious. I can see why you couldn't resist taking a picture. I am a big fan of COSI. That is great that they came to your school! I just realized you are a "stalker" of my blog! Thank you so much for linking up with me! Pizza looks great!! Homemade is always the best!